The island that so many of us have fallen in love with on The Durrells is surprisingly affordable. It has a strong British connection and one surprising son, who you may have heard of! Prince Philip officially retires from Royal duties this week aged 96. They breed them tough on Corfu! It’s funny to think that this epitome of Britishness was born as a Corfiot in June 1921, yet this sun-drenched Mediterranean isle has always had a place in the heart of the British, and the English upper classes in particular. More recently, Prince Harry has enjoyed partying in Corfu, George Osborne and Peter Mandelson fell out over what was said at a taverna in Agios Stephanos, and Lord Rothschild owns a villa near Kassiopi. There are other signs of a strong British influence, including a cricket club in the main town that has been going for 200 years and, of course, The Durrells, ITV’s smash hit Sunday night serial, pulling in 8 million viewers each episode as an eccentric English learn to get along with each other in Corfu of the 1930s. The Durrells was adapted from the trilogy My Family and Other Animals by Gerald Durrell, and today there is a lively expat community of six or seven thousand British people living in Corfu, and many more coming on holiday each year. What do we all come for? The warmth, of both the weather and the people, the rolling hills, the beaches, the astonishing views from every headland, the food, the culture and the Mediterranean lifestyle. During the summer there are flights to Corfu galore, although in winter they are much more restricted and usually involve a flight via Athens or Thessaloniki. There are also ferry services from the Greek mainland and the Italian coast. Taking the train and ferry is also possible, usually via Paris and Milan, then ferry from Bari or Brindisi. Corfu isn’t a big island, around 20 miles wide at its widest point and 40 miles long, north to south. 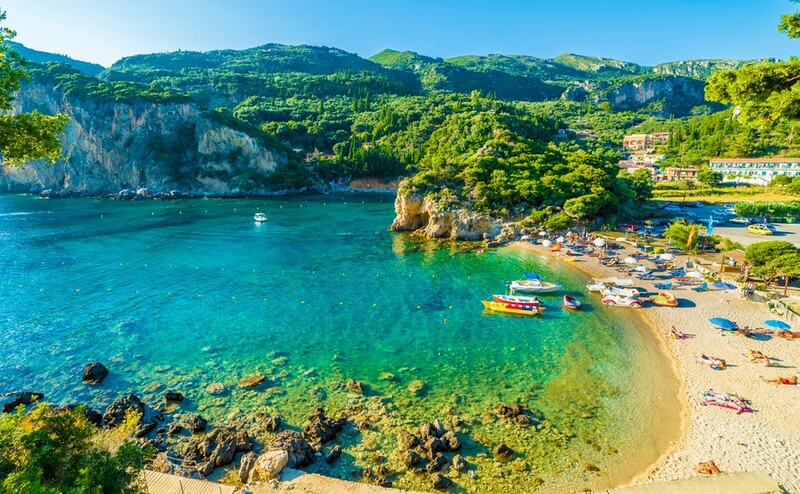 The north of Corfu has traditionally been the place for holiday homes, especially the north-east coast around Kalami (where the Durrells lived) and the fishing village Agios Stephanos, which has been compared to Padstow for its combination of rustic seaside charm and upmarket dining. Even here though, the island is unspoiled, with the pretty bay of Kassiopi overlooked by tavernas and restaurants, but not by high-rise apartment blocks. When you consider the rough time Greece has been through economically, the fact that it has refused to sell out to developers and trash its own environment is to be admired. The north is more mountainous and as you head south the island both flattens and narrows. In the middle of the island is Corfu town, with beautiful Venetian style homes in warm stone. Architecture generally here is much more Italianate than the white boxes and blue roofs of Greece’s more easterly islands. The café lifestyle is the same as for centuries, and in the winter when much of the warmth stays but most of the tourists go home, it offers that truly inspirational Mediterranean lifestyle, full of tradition and parties and joy. A little below Corfu Town are resorts like Benitsis, all beach umbrellas and nightclubs, repeated at the very southern tip of the island at Kavos. But there are more traditional fishing villages dotted between, places like Petriti and Boukari. If you wanted to do like Louisa Durrell and acquire somewhere old and beautiful for a reasonable price, you might have to forego the sea views, but there are plenty of older properties awaiting renovation in the centre of the island. In places Corfu is only three or four miles wide, though, so you are never far from the sea. If you are ready to buy in Corfu, you’ll have a few financial matters to sort out. 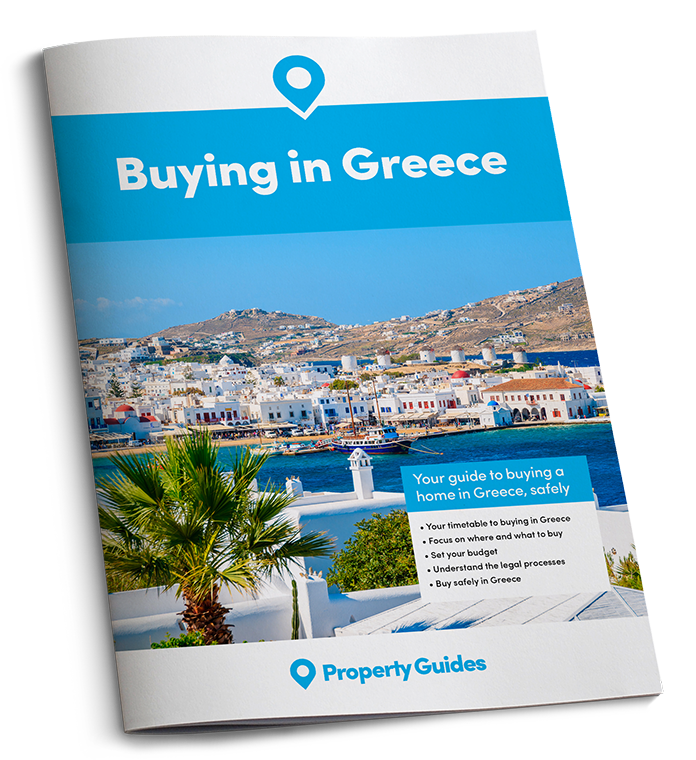 For advice on getting the best currency deal download the Property Buyer’s Guide to Currency. Just because of the island’s fame, don’t assume it is unaffordable. A mid-range three-bedroom villa in Corfu goes for around €200,000, and although you might need to treble that around Kalami, on Rightmove right now there are dozens of properties for under €100,000.